Find the condos for sale at the Fairmont Plaza Condos. If you are looking for a home near Walter Reed or the new Marriott Headquarters, you should look at the Fairmont Plaza. Do you want to live near the Bethesda Metro, then you should check out the Fairmont Plaza Condos. Don’t have a lot to spend? Then the Fairmont Plaza Condos should be on your list! Fairmont Plaza Condos Are Waiting! Stop your search! Are you ready to make the move to downtown Bethesda? Fairmont Plaza Condos is right in the heart of Bethesda, just four blocks from the Bethesda Metro. 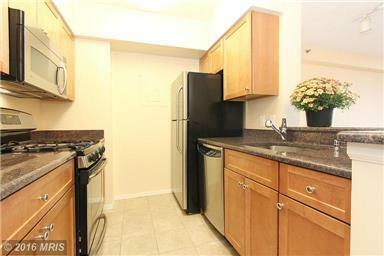 You have great views of downtown Bethesda from your balcony, updated kitchens, wood floors, and large bathrooms. No car? No problem! This condo complex has a Walkscore of 98, ranking it as one of the top 1% of Walkscores in the metro area. Do you want to walk to the Giant, Harris Teeter or Trader Joe’s? Less than two blocks away! Great restaurants? Mon Ami Gabi? Jaleo? All just five minutes away! Blue Mercury for makeup! Luna for her clothes, Bonobos for him. All within a three minute walk – Want to get someplace else in the DC area? The metro is right there! There are a variety of units in the Fairmont Plaza Condominiums for you to choose from – studios, one bedrooms and two bedrooms. Balconies, updated kitchens with granite and stainless, hardwood floors are some of the upgrades you can expect. Studio condos are 424 square feet (not counting the balcony) while the one bedrooms are from 614 to 688 square feet. The two bedroom one baths are 817 to 824 square feet. There is a home for you, regardless of which what size you want. This building is so popular that sometimes good friends or relatives each buy a unit in the building so they can be close to each other! Although Fairmont Plaza was built in 1990, it did not become condominiums until late 2005. The condo fees include gas, water, sewer, common area maintenance, and the master insurance policy. The condo fees range from $315 for a studio condo to $550 for the largest two bedroom condo. Fairmont Plaza welcomes pets! Living in downtown Bethesda means being close to everything you could want. There are more than 200 restaurants to choose from, unique shops, and day spas and salons for humans and pets! There are art galleries, movie theaters, and live theater to choose from. Fairmont Plaza is outstanding because of the value that it offers and the availability of studio condos which are very rare in downtown Bethesda. You can find condos to purchase at Fairmont Plaza (if there are any available today) as well as all the condos for sale in downtown Bethesda on my website. 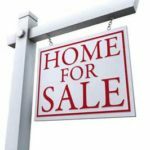 There are a number of sites on the internet that will give you ‘estimates’ for what your home will sell for. These sites use public records and usually some kind of algorithm to try to produce a value for your home. These sites also publicly state their ‘error rates’. That means they aren’t correct, they are simply an estimate based on incomplete date. We would love to do a free comparitive market analysis of your home or condo in downtown Bethesda and let you know what you could expect to get in today’s market if you are considering selling. Our valuation is based on up to the day data for homes that have recently sold in the area. Our valuation is not based on a formula that relies on public records which can take months to update. Please visit my website in order to get your free property evaluation for your Bethesda home or condo. If you would like detailed demographic information about downtown Bethesda condos as well as school reports or market trends and statistics (including recent sales in the area) please visit my website.